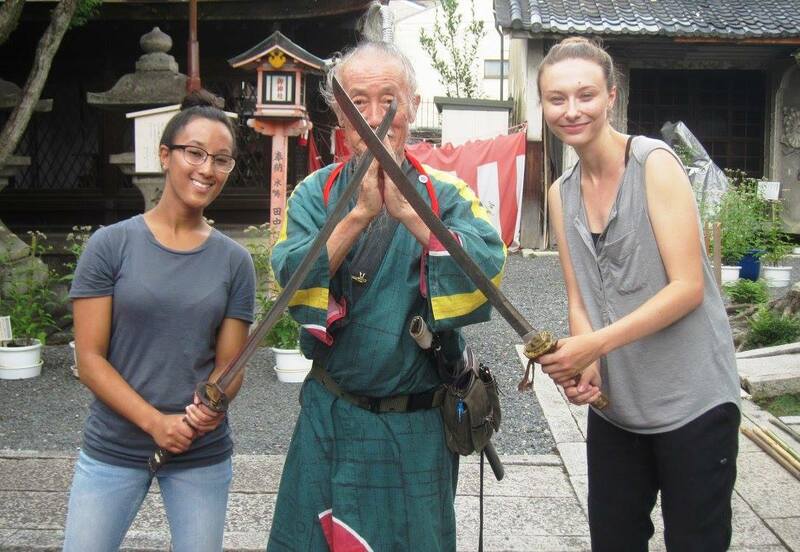 Explore the real and cool Kyoto with Joe Okada, an experienced samurai guide, on a walking tour of the city. 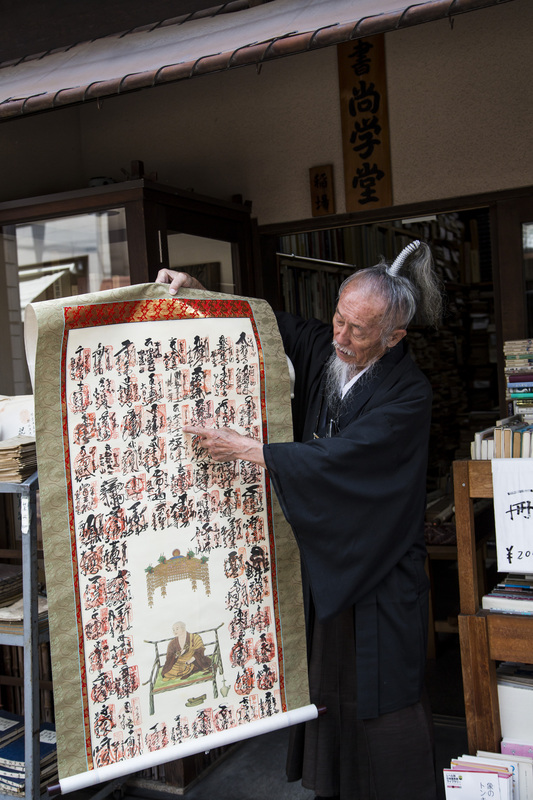 Embark on a fun, informative walk through the streets of Japan's ancient capital. 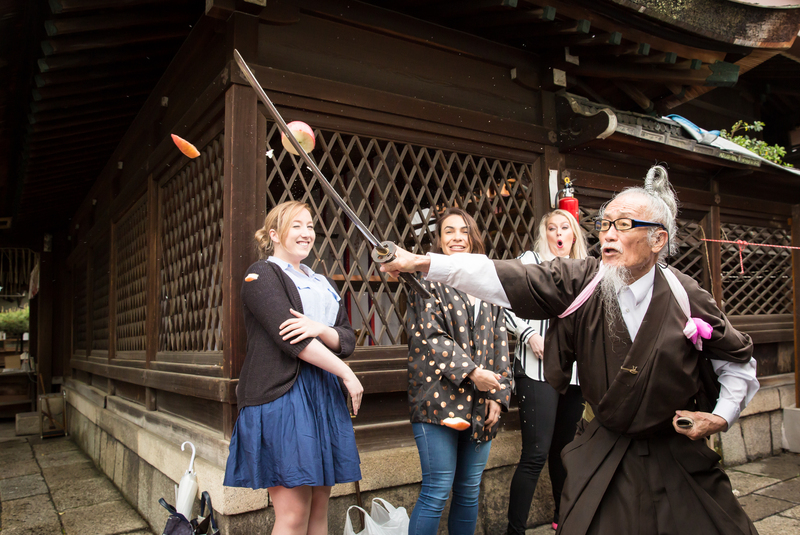 Let Samurai Joe (re)discover Kyoto for you. 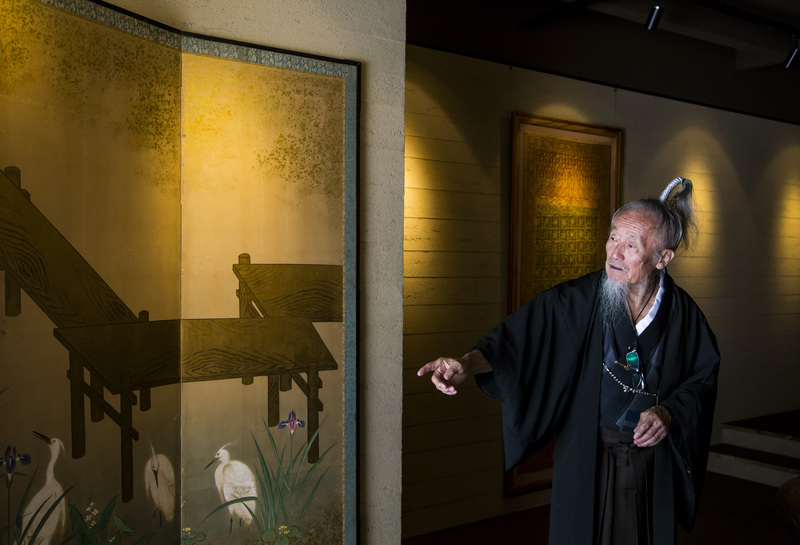 Samurai guide Joe Okada knows Kyoto inside out. 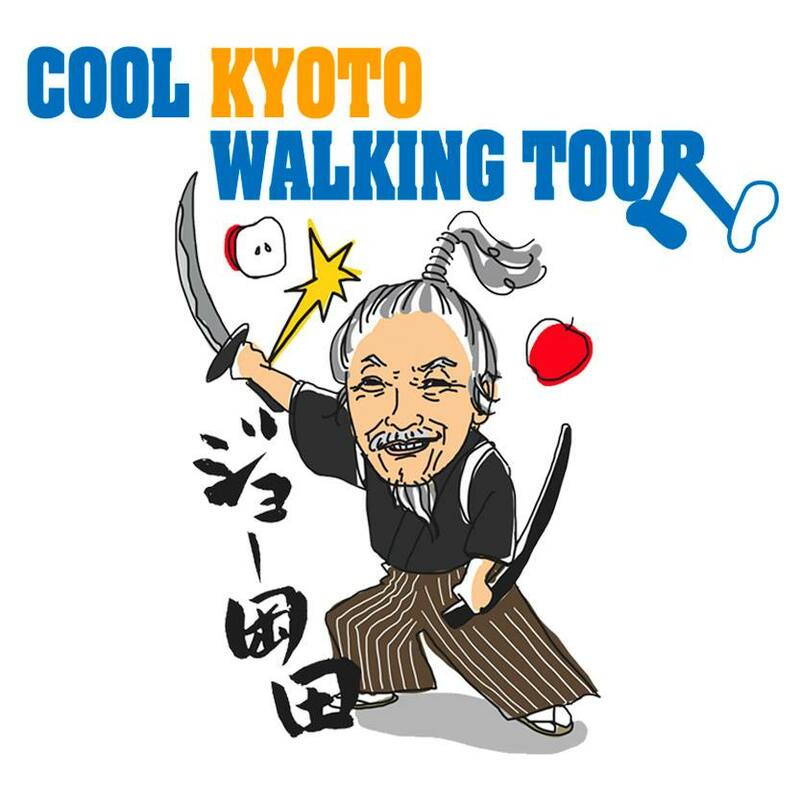 Walk with Joe, the cool samurai, and discover the charms of Japan's ancient capital - the cool Kyoto. 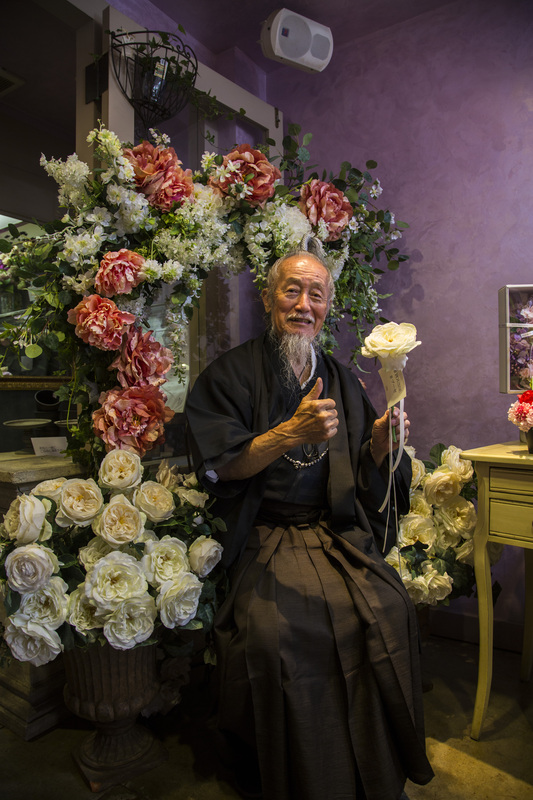 Read more about Joe-san, your Kyoto samurai guide. 14: 00 Meet people at the local Demachi Market, try sushi, tofu, chicken, sweets, etc. Minimum number of participants required for the tour to run is 5 (negotiable). Maximum number of participants per tour is 30. 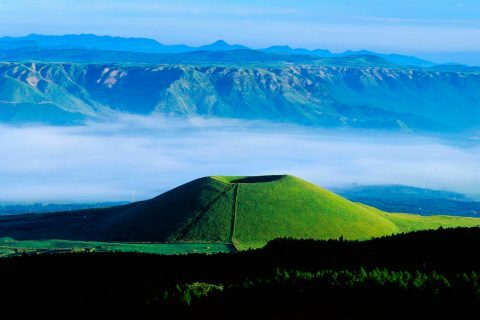 The tour runs on Saturdays, between 10:00 and 15:00, and it covers the distance of approximately 4 miles (a little over 6 km). 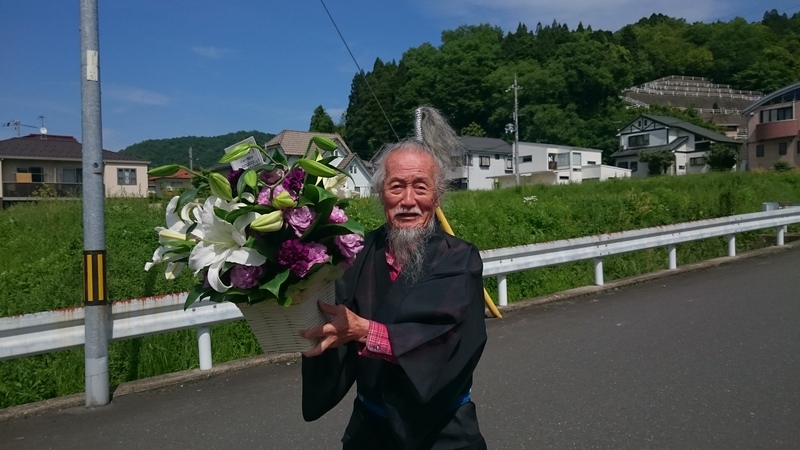 *If the tour is not running on your preferred date, Joe Okada will offer an alternate date, as the tour is subject to his availability, since he is the only guide. 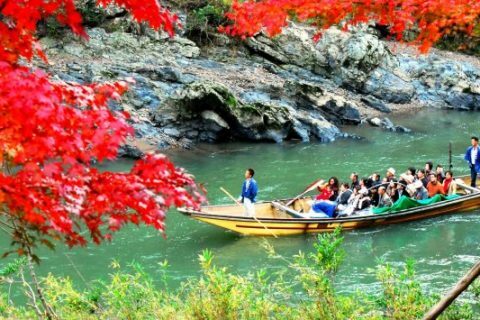 Tour price is 4,000 yen per person, with a local lunch included. 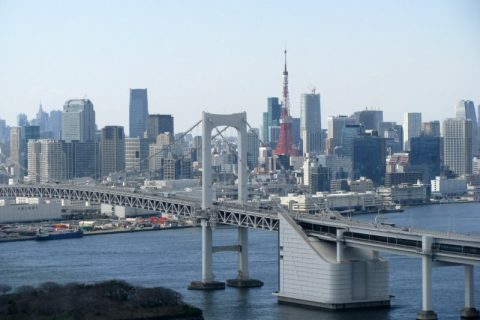 The tour is free of charge for children under the age of 12, however a fee of 1,000 yen (for lunch) is to be paid in cash on the day. 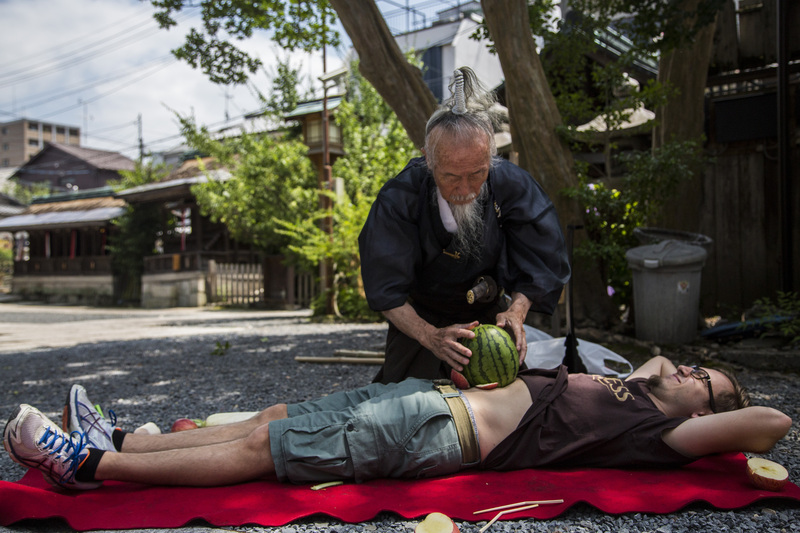 Tour Package A: Includes performances of Samurai Joe and two ninjas. 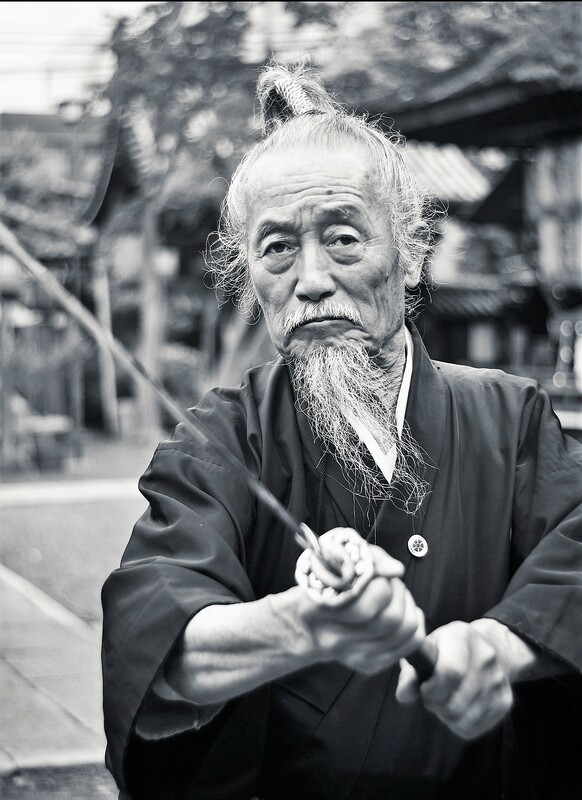 There is also a lecture on history, philosophy, and the Way of Samurai and Ninja. 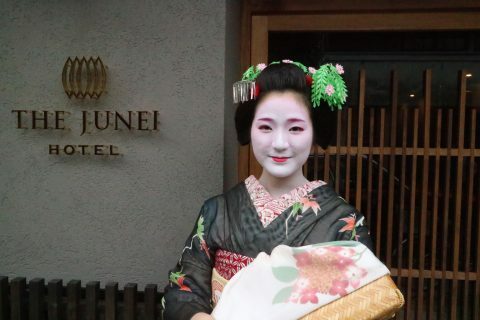 Tour Package C: Focuses mainly on a Samurai and Ninja show at your banquet. Samurai Joe has hosted 400 times for leading companies. Venue is not included in the package. 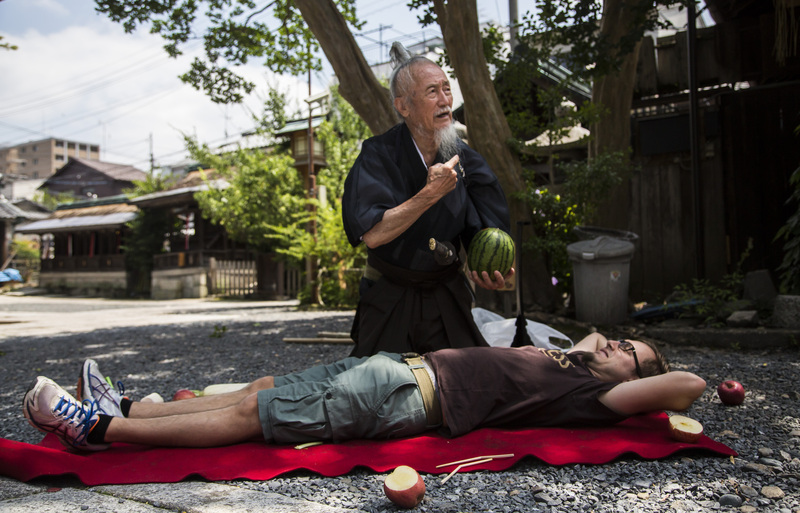 Tour Package D: Private lesson to learn the art of Katana, including "How to cut an apple in the air in 60 seconds". 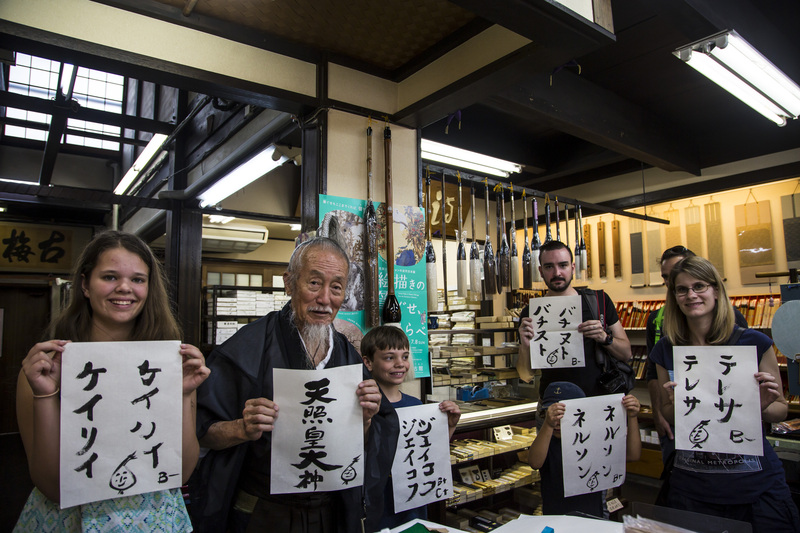 Okada has taught two American students, and got on the Guinness World Record by cutting 14 and 24 apples. 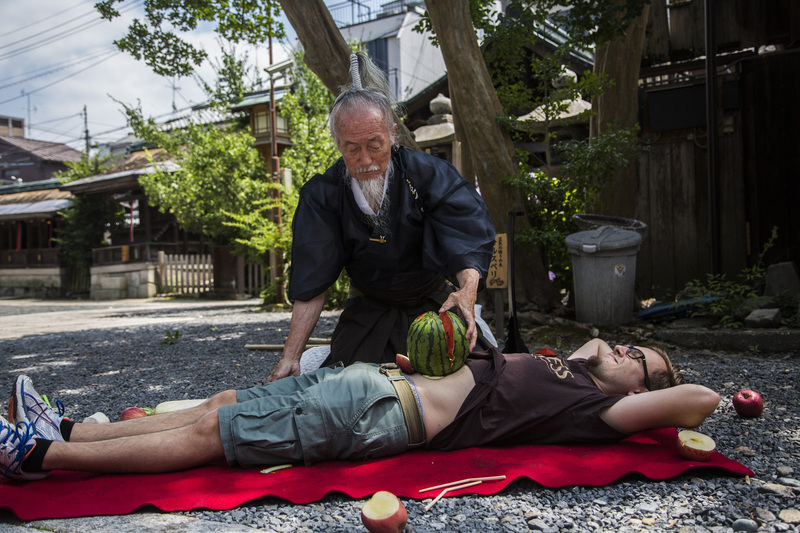 Samurai Joe will make sure you cut at least a few apples. For the above tour packages a 30% downpayment is needed for final confirmation, and the cancellation fee after that is 30%. 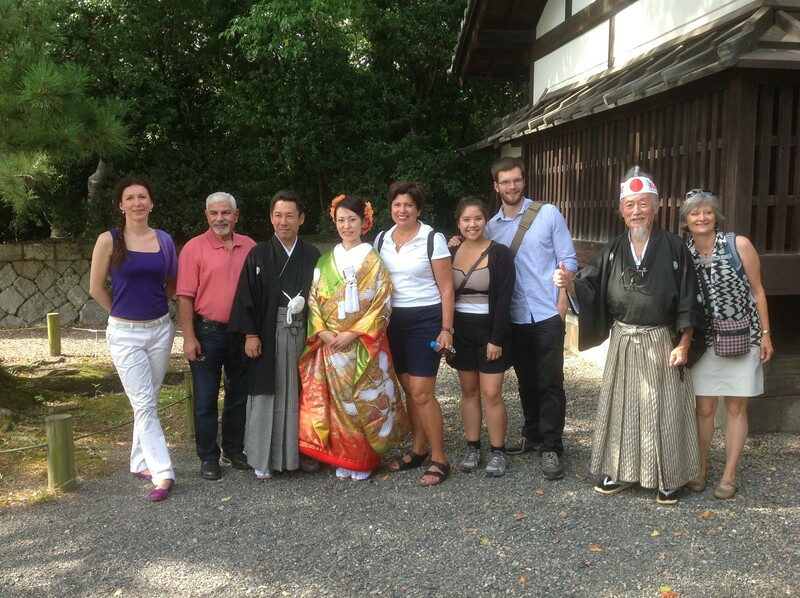 Joe was an engaging guide who brought the group through the lesser-visited parts of Kyoto. He had good relations with the shops that were along his tour and that made the atmosphere comfortable. His enthusiasm belies his age. We even had the chance to sample some good sake and inari sushi! 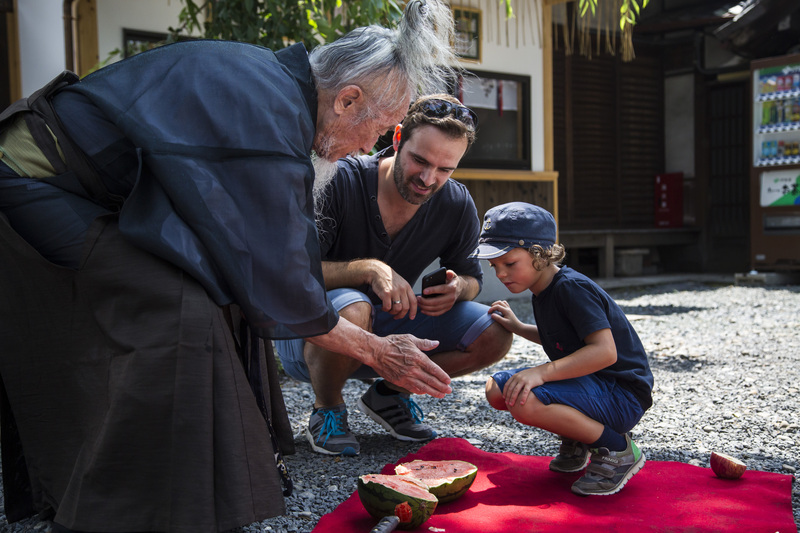 The highlight of Joe's tour has to be his samurai show, where he gets brave volunteers to hold various fruits and vegetables while he slices them up — it's perfectly safe if you follow his instructions! Joe is a meticulous guide and explains anything you are unsure of, and he is clearly well-versed in history. 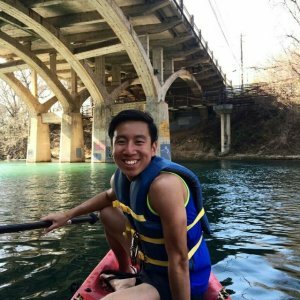 If you find yourself needing a tour guide to kickstart your Kyoto journey, Joe is the man for you!